All standard factory settings are kept, just the RPM/Speed limiters are removed. This remap is ideal for customers who want to keep within the factory settings but enjoy some extra top end. 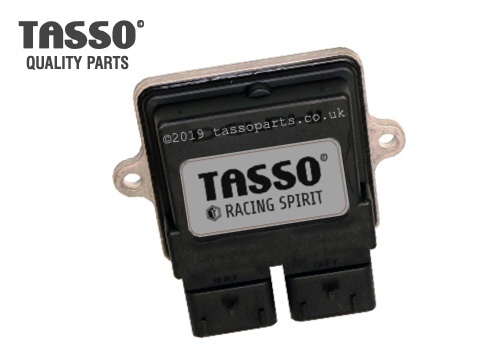 Ideal compliment for people that want to enjoy some extra juice from their Tasso Exhaust. Send us your ECU and we will remap and remove the limiters. Simply unbolt and unplug your ECU from your scooter and post this (RECORDED or SPECIAL DELIVERY) to us, we will remap the software and post it back to you. During the checkout you will be charged with shipping costs, thats actually for the return of the ECU to you, the shipping to us is done by you. Remember remapping makes changes to the way the engine works and may invalidate your warranty. It's course your choice to take the extra speed/power or not but we need you be aware of this as we take no responsibility for damage to motors in the future from use of this upgrade.